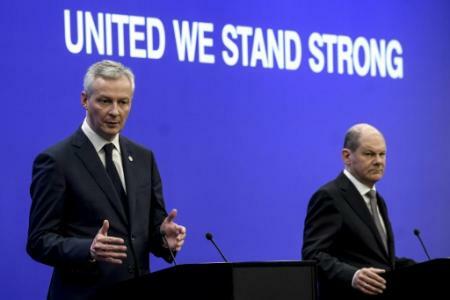 After months of divisions on the subject, Paris, and Berlin are now very close to an agreement on the reform of the euro zone, announced on Saturday evening the French Finance minister, Bruno Le Maire. “An agreement is now within reach,” he said on his twitter account, following a final negotiation meeting on the subject with his German counterpart, Olaf Scholz in Hamburg in Germany. The minister said she hopes that an agreement can be finalized at the highest level on the occasion of a franco-German council expected on Tuesday, near Berlin, which will be chaired by the German chancellor Angela Merkel and the head of the French State, Emmanuel Macron. “There are still two or three important points” to adjust “but they are well identified and limited. Now to the heads of states to see if the last step can be taken at the ministerial seminar on Tuesday,” told AFP a european sources close to the negotiations. Mr. Macron had initiated last year’s debate on an overhaul of the euro zone. But for months, Germany has dragged feet on the subject, for fear of having to pay for the other countries. The French minister of Economy and Finance has not given details on the points of convergence. But in the light of more recent pronouncements of the two governments, an agreement is emerging on creating a budget of investment of the euro area. “Real progress has been made on the sensitive issues remained to be resolved, in particular on the budget of the euro area”, confirmed the european sources to the AFP. Germany will, however, limit it to only a few tens of billions of euros, where Mr. Macron wanted to start hundreds of billions of euros. This investment budget, could be financed by a tax on financial transactions, a French proposal to use a tax on the giants of the digital, having been rejected by Berlin, according to German media. The emergency Fund of the euro area for the highly indebted countries, the european stability Mechanism (ESM) is expected to see its competences extended. In particular, it may grant loans to countries that face crises of exogenous origin (Ireland in case of problems following a Brexit, for example). It should not take however the name of european monetary Fund, contrary to the wishes of Germany, France refused to do not make shadow on the IMF, according to the German press. Conversely, Berlin has rejected the idea of a Finance minister or a Parliament of the euro zone. Similarly, the two countries still diverge on the completion of the banking union, to better protect the euro area financial crises. France would have liked to without delay create a deposit guarantee common for all the clients of banks in the euro area. But Berlin requires banks, at the national level, clean up first their accounts.